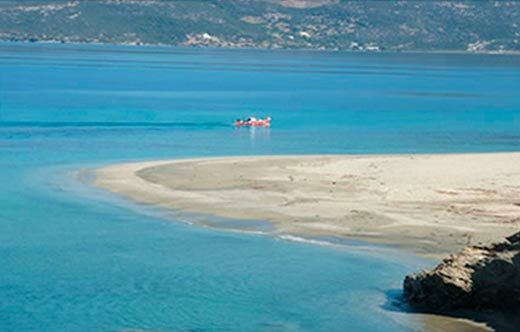 Evia is an island and at the same time a continental region along the northeast shore of Central Greece. A place that combines everything: lush vegetation, beautiful forests, shores with beautiful and sandy beaches. 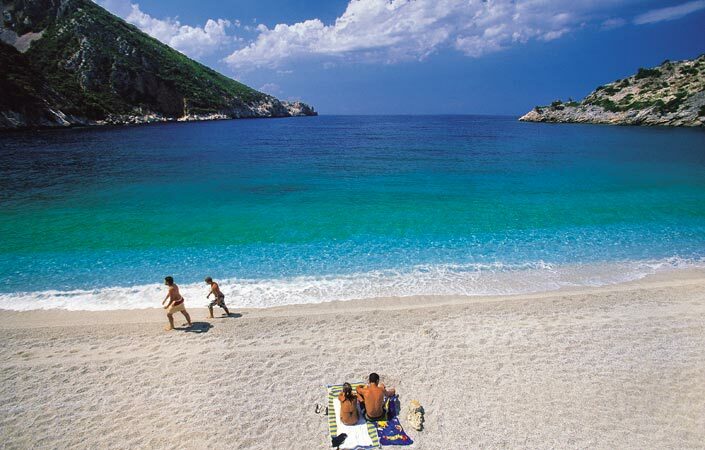 Is the second biggest Greek island, after Crete, having a privileged geographic position. Chalkida, the capital that connects the island with continental Greece through a new suspension bridge and a moveable old one as well, where the visitor could admire the tide phenomenon, a unique regional phenomenon. Chalkida is a beautiful town among the Euboean gulf, of significant geographic importance, a crossroads of people and cultures. The old moveable bridge and observe the tide phenomenon at Euripus strait. The castle of Karababa was built to a strategic position, onto the Furka hill of the Boeotian shore, as it controls Euripus strait and Chalkida. The castle’s position is considered to be the one of the ancient city of Kanithos. Into its courtyard stands a Christian church dedicated to Prophet Ilias dated back to 1895. Southward, on the road to Lampsakos, Vasilikos and Leukanti, see the small but fertile valley of Lilanta’s river, for which have fought in the antiquity the two powerful Evia’s cities-states, Chalkida and Eretria. At Prokopi, the monastery of Agios Ioannis o Rossos (Saint John the Russian) where is kept the Saint’s relic. Near to Stira, the cyclopean constructions, known as Drakospita. The New Stira with the beautiful coasts and the blossomy hills. At Limni, the ruins of a Late Christian Basilica dated back to 4th- 6th century with the floor mosaic. The arched Mycenaean tomb at Katalu, near to Aliveri. At Gouves, the tower of the Greek poet Georgios Drosinis. At Basilikos-Leukanti, the remains of a medieval castle dated to Frankokratia, the Venetian castle, the Saint George Armas’ monastery and the residence of the Greek hero Andreas Miaoulis. The temple of Artemis Avlideia, near to Vathi. The wetland of Distos’ lake. 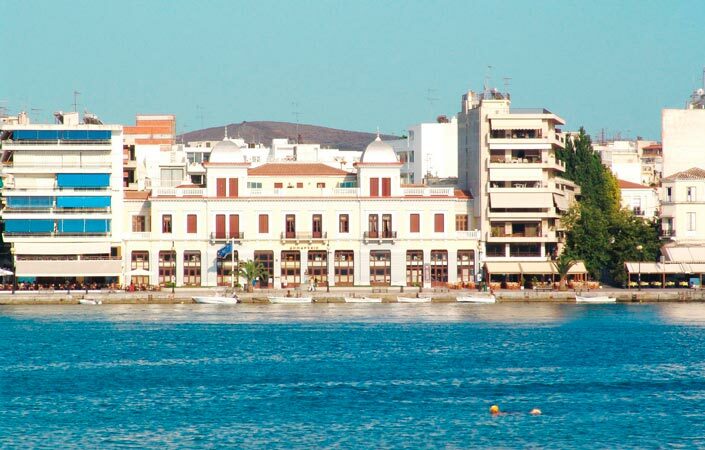 Eretria is an important natural port of Evia of high historical importance. 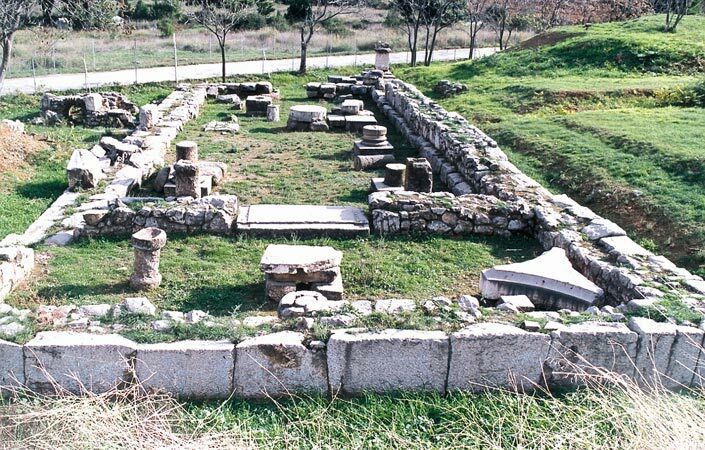 The ancient Eretria was a prominent city, inhabited from Geometric to Late Christian period. Ancient Theatre of Eretria. The ancient construction dated back to 5th century B.C. After the city’s downfall by the Romans in 198 b.C. was restored using cheapest materials. Tholos. A circular construction that was erected primary in the 5th century B.C. House with the mosaics. Residence built in 370 B.C. with mosaic floor full of representations of Nereids onto a seahorse, battles between Arimaspians and Griffins, sphinxes and panthers. Near to Eretria, at Amarithos, take a walk on the large waterfront and ascend the hill Palichoria to visit the extant Byzantine Churches and admire the sunset. On the North side of Evia the road leads to Aidipsos and Loutra Aidipsou, a city known for its thermal springs and the healing abilities of its waters since ancient times. A modern spa town of huge touristic movement and many hydrotherapy centers. Visit Sillas’ cave where the Roman general visited the thermal springs in order to be cured. 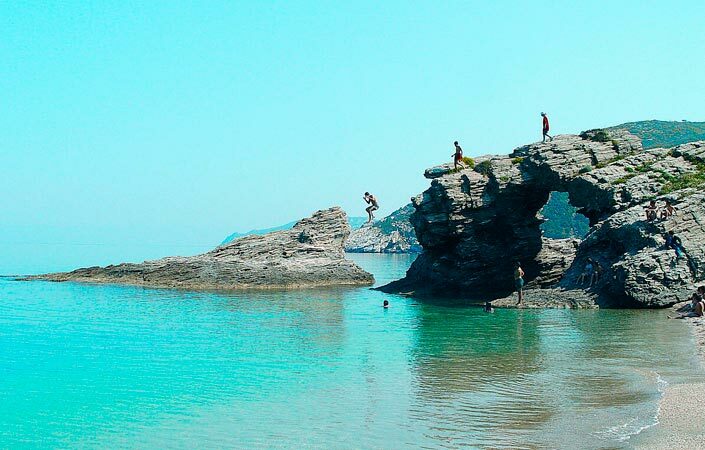 Starting from the city of Aidipsos, see the peninsula of Lichada, with the beautiful verdant villages Gialtra, Loutra Gialtron, Lichada, Agios Georgios and Gerolimano. Among the peninsula of Lichada find amazing beaches of deep green color waters as a result of the proximity with the pine trees. At the edge of the peninsula stand two small islands, Strogili and Manolia. The landscape is so beautiful that it seems like one of a painting. Visiting them is the capstone of the whole Evia trip causing such pleasure to the human soul that just by seeing them anybody would accept that the beauty is the only hope for the world’s salvation. A beautiful town-port located in one of the southernmost Evia’s regions at the inmost part of the homonymous bay, a modern city of touristic interest. The most characteristic place of Karystos is the Venetian fortress of Bourtzi built in the 13th century that hulks on the city beach. 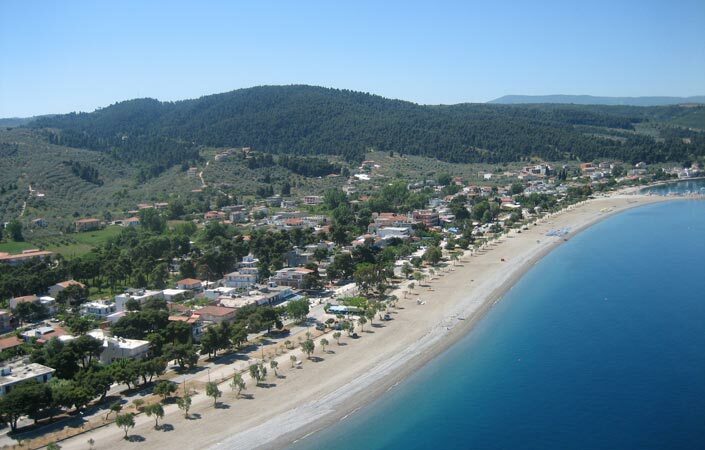 Kymi is an amphitheatrically built city in a leafy area with view to Aegean. Its architecture is characteristic: stone houses and paved roads that give a special color. Visit the therapeutic spring of Choneutiko and the Folklore Museum. Steni Dirfis is a leafy traditional village at Difris’ slopes, the highest mountain of Evia (1743m.). It’s ideal for winter and summer tourism. Among its main characteristics, the snow at winter and running waters at summer. Furthermore, visit the picturesque village Stropones and its seaport to Aegean, the extremely beautiful beach of Hiliadou and Metochi. On the road see the regions Vasilika and Ellinika and in the north the Cape of Artemision, famous for the homonymous sea battle of the Greco-Persians Wars and also for the prominent homonymous Poseidon’s bronze sculpture that was taken out of the sea and now is exposed in the National Archaeological Museum of Athens. The nearest airport is Athens International Airport “Eleftherios Venizelos”. Evia prefecture administratively belongs to the Region of Central Greece.